Those "B" monster movies that are so bad you just gotta love'em. 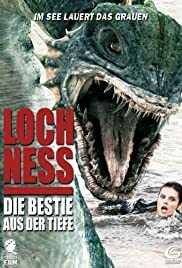 I watched most of this film using my DVR to fast-forward through the early parts, so I missed the explanation of how Nessie gets from Scotland to North America. The more interesting question is *why* she would make the trip. After all, she and her ancestors seem to have done fine in Loch Ness for untold centuries. (Incidentally, Loch Ness is a freshwater lakecontrary to what one person posting here says. Some "lochs" are indeed saltwater sea inlets; however, Loch Ness isn't that kind.) I've enjoyed watching science fiction monster films since the Golden Age of Radiation during the 1950s, when I must have seen every film featuring dinosaurs released from the depths of the sea by atom bomb testing or mutant giant insects and mollusks running amok. I can still enjoy many of those films, but I've not yet been able to make a habit of watching the Sci-Fi Channel's made-for-TV films. Apart from their weak scripts and dreary acting, the films are hard to watch because of their almost uniformly poor CGI. 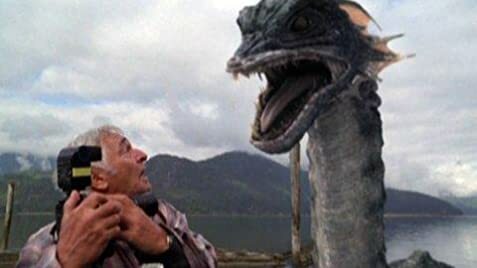 Other people have commented here that the special effects in BEYOND LOCH NESS are a cut above the Sci-Fi Channel's usual standard, and I think that's probably true. There are moments in this film when it's almost possible to believe that the dinosaurs are real. However, those moments are both few and brief. A general problem with this film is that the dinosaurs are on the screen far too long; the longer we look at them, the phonier they appear. Wouldn't it make more sense to have less dinosaur footage and to make the effects in the footage that is used better? There are scenes in this film in which Nessie waddles across dry land like a duck; I almost expected it to quack. Another problem I find with this film may be more a matter of my taste than an objective criticism of the filmnamely its emphasis on gore. 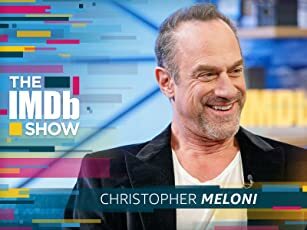 Is it absolutely necessary to show graphic images of people being bitten in half and chewed up? Older films are often much more frightening for the off-camera violence and carnage that they suggest. Nowadays, I suppose, it's necessary to show audiences the bloodand lots of it. It's a shame that audiences are so desensitized that they can't be frightened unless they see closeups of people being dismembered and eaten. Personally, I find graphic gore more repulsive than scary. Moreover, in BEYOND LOCH NESS, the gore often merely looks ludicrously unrealistic. I have one final question about this film that another person here has already raised: What does become of the deputy sheriff at the end of the film? Is it possible that a scene accounting for his fate was cut, leaving an awkward continuity problem? Oh, well. The same thing has happened in far better films, such as THE BRIDGE OVER THE RIVER KWAI (exactly what is Jack Hawkins trying to explain to the Burmese women as they leave the river in that film? ).